Not hitting the mainland as hard as predicted. Cat 4 at Keys, Cat 3 at FL landfall, Cat 2 at Tampa. Winds and rain picking up here near Stone Mountain. There are gusts, nothing serious sustained yet. We evaq'd to Atlanta. Western eye wall went over my house. Neighbors went outside and got some cool photos. No major damage in my county. But lots of power out and trees down. Now bracing for trop storm in Atl!!!! Welcome, and Hail...glad you're okay. Anyone heard from Larry or SWFL? Lost power for 8 hours, just got back on. Lots of tree damage, ground sucked up the rainwater when the rain stopped. Just so everyone knows, there are only 2 rivers on the planet that flow south to north...the Nile and the St. John's. Key Deer have been sighted! If they can't spell Shenandoah correctly, **** 'em. Seriously, they must not have cared about their results and its' importance on the scale of knowledge. A bunch of rivers drain into the Hudson Bay--key arteries for the French colonial fur trade. The ones that are sourced in Ontario and Manitoba probably flow North. I'm currently sitting in a hotel in Columbia, SC with my wife, 2 children, 3 dogs, and 1 cat. I'm about to lose my sanity. Send em all somewhere on vacation and get an early start on your Game****s tailgating for Saturday night! 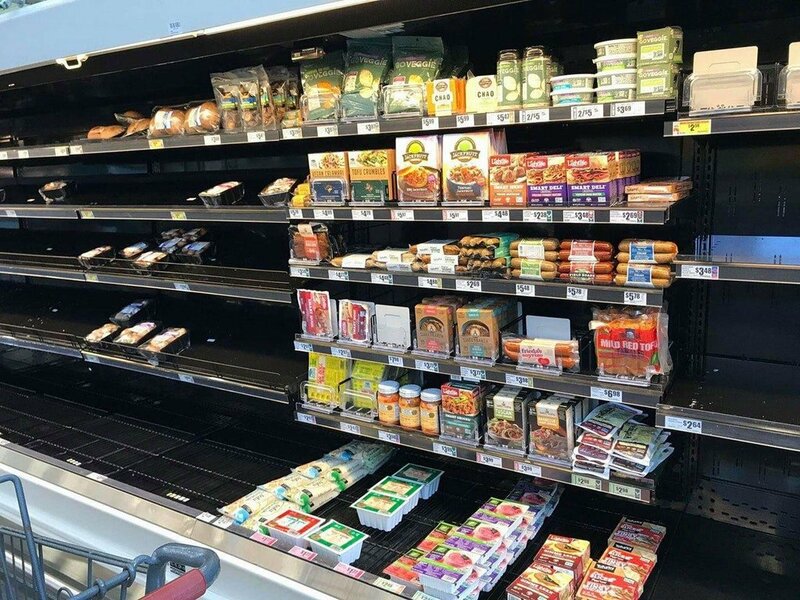 "You have a choice Houston, starve to death...or eat vegan." (ENTIRE CITY OF HOUSTON TAKES A BIG SWIG OF WHISKY) "I'll see you in hell." The single greatest thing that an individual can do to combat man made climate change is to go Vegan. Perhaps this is something that now Houston and the soft state of Texas will think about. Likely not I know. That type are more likely to believe that it's "god's wrath" than the science that warmer oceans are causing more and stronger hurricanes. Oh and before anyone mentions "no politics" in this thread, I didn't see that admonishment to this post above, which has zero to do with the hurricane in Texas but rather just another attempt to take shots at Vegans. During a time of a serious crisis no less. No class. It's amazing how compassionate people make others clearly uncomfortable so you need to take shots at them because of your inadequacy. To go Vegan takes three simple things. A brain, a heart and the willingness to use both. Sad most seem to be lacking at least 2 of these traits. Oh and that food looks damn good. Good ideas for the next trip to Wegmans. So that picture wasn't a complete waste of time. I like Vegans, leaves more meat for me. So you complain about people "taking a shot at vegans" by taking a shot at non-vegans? I like to mix in about 5-6 vegan meals a week. I shall now await condemnation from both sides. Pick a side! If you aren't with us, you're against us! There is floods as well as rain over in TN!